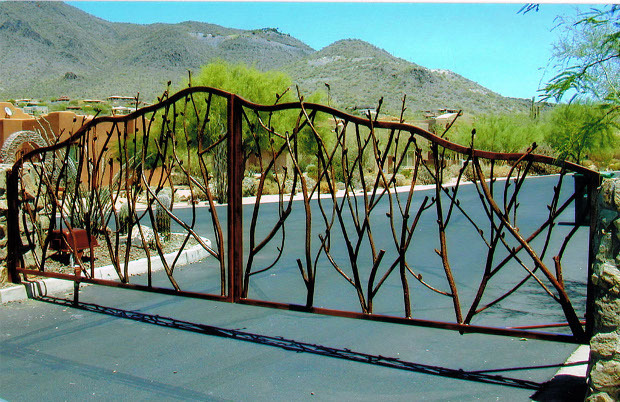 We offer the highest quality Custom Wrought Iron Gates, Driveway Gates, Fence Gates, Backyard Gates, Side Yard Gates, RV Gates, and Courtyard Gates for both homes and businesses in Scottsdale, Paradise Valley, Phoenix, Mesa, Chandler, and more. 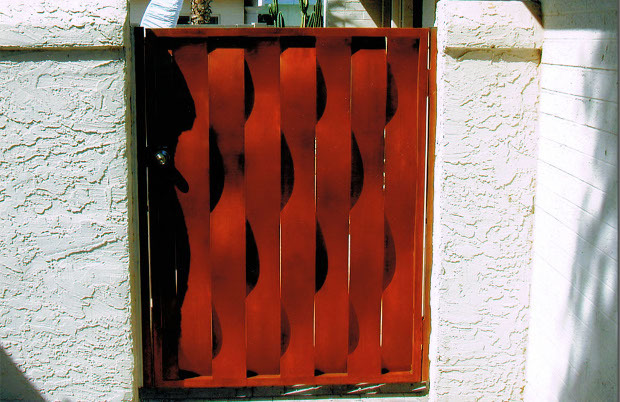 Your gates can be completely custom with as much or as little ornamentation as you wish. 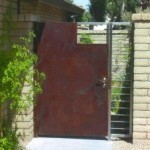 As we design, fabricate, and install our gates the entire job is completed by our dedicated team of professionals. 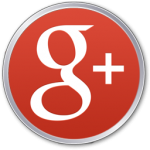 Our attention to detail offers you peace of mind and complete customer satisfaction. 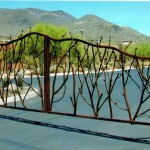 The sky is the limit when you order your wrought iron gates from Artistic Alloys. 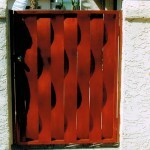 We can help you come up with a stunning custom design for your home or office in the Phoenix Valley. 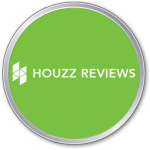 No matter what style you prefer, we can help you come up with the perfect design! 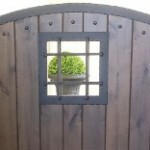 Design ensures visual appeal while our fabrication team ensures uncompromising quality. 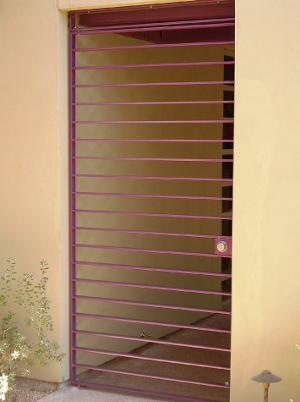 This ensures durability, strength, and that your new gates will last many years to come. 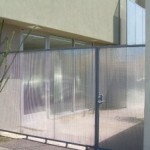 As the first barrier of security for your property you want to know the welding is strong. 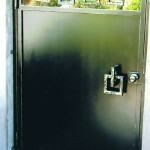 The most creative design and highest quality installation mean nothing unless the new gates are installed to last. 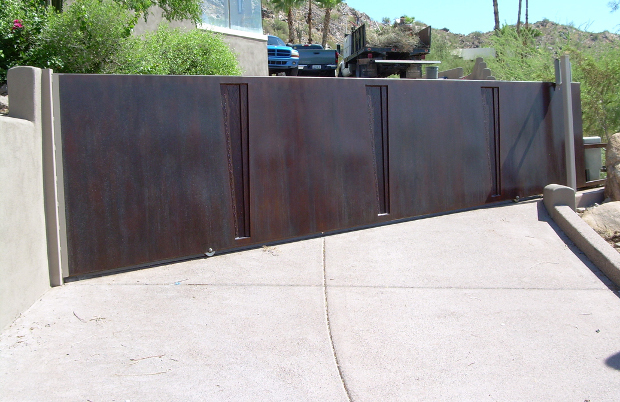 Our installation team will carefully transport your newly fabricated gates to your commercial or residential property in the valley and install them to last. 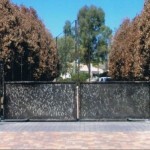 Driveway gates serve your property with both a layer of security and curb appeal. 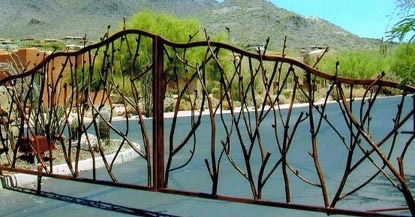 When you have a Artistic Alloy driveway gate you will have a completely unique appearance from the street and a formidable layer of security at the edge of your property. 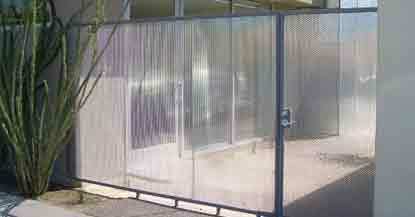 The fencing along your property line is there to keep things out and in as you choose. 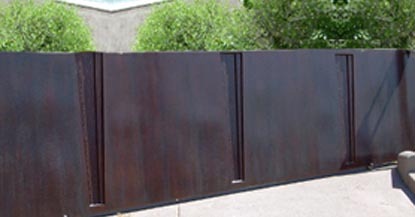 Our fence gates serve to let people in and out of the property as you wish but act as a layer of security when you want to keep your property move private. 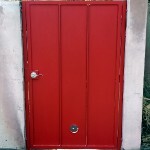 Many residential and commercial properties have front areas for guests and back areas that are either private or have restricted access. 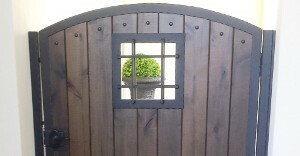 We will create a visually stunning but natural barrier to keep your backyard secure, private, and the oasis you wish. 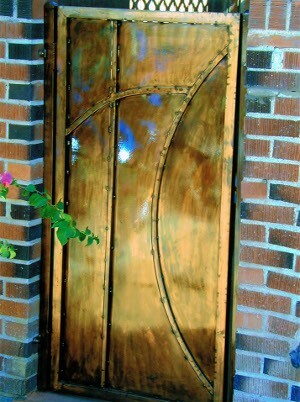 Scott and crew created a custom masterpiece for my home. They installed it and I love it. I refer friends and family all the time. He’s been doing this more than 25 years and knows his stuff, so I definitely trust him and the guys. 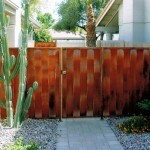 A lot of homes in Scottsdale and Phoenix have side yards that need to be kept private and secure. 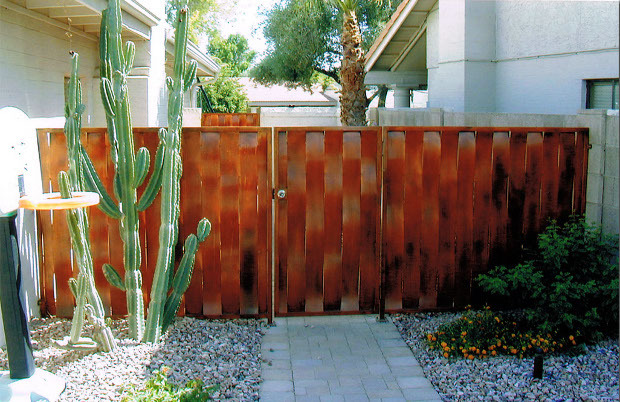 Whether you have a pool that you need to keep children away from or you use your side yard for storage a side yard gates keeps everyone safer. Many valley residents have RV’s, boats, trailers, and other recreational equipment that they wish to be stores securely and out of sight. 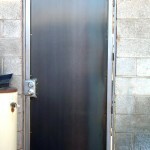 Our RV gates make it easy to get your equipment in and out while providing the security and privacy you need. 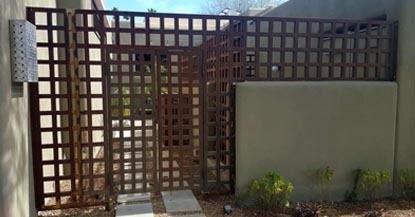 Artistic Alloys & Design, LLC of Scottsdale, AZ has years of experience in fabricating custom wrought iron gates, single entry gates and double entry gates while offering a wide range of colors, designs architectural details and finishes. 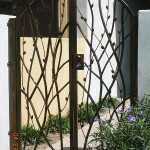 Whether you are looking for a custom driveway gate, garden gate, courtyard gate, RV storage gate, or backyard gate, Artistic Alloys will custom fabricate your own style wrought iron gate to your specific needs. Have a design in mind already? Send it over to us and we can turn your design into reality. 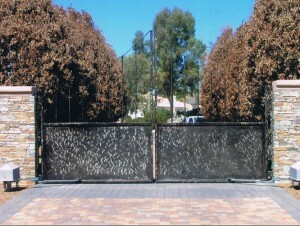 Take a look at the custom wrought iron driveway gates we have already installed for previous customers in Scottsdale, AZ. 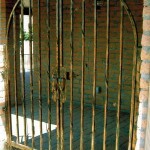 Click here to find out the difference between wrought iron gates vs steel gates. 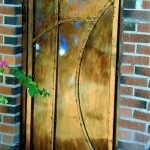 The quality custom wrought iron entry doors homeowners and business owners have come to appreciate and expect are available exclusively through Artistic Alloys & Design. 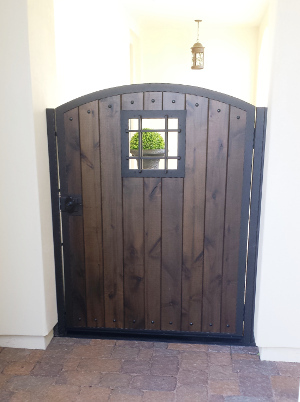 Considered one of the most important sources for custom doors in Scottsdale and the greater Phoenix metropolitan area, Artistic Alloys & Design can produce outstanding results each and every time with regard to your unique project. 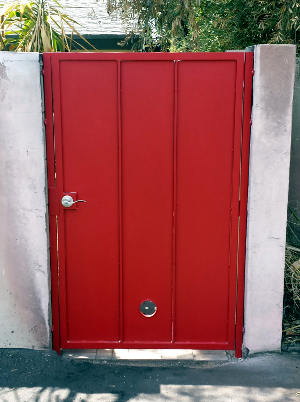 No job is too big or too small for the artisans and experts of this well-established metal fabrication company. 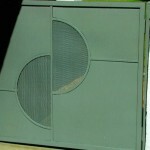 Having served the region for over two decades this is a company that knows every intricate detail of metal fabrication. 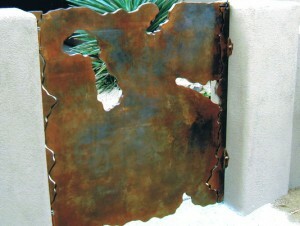 Using advanced techniques that include soldering, welding, shearing, cutting, and bending as well as a host of other unique techniques, Artistic Alloys & Design is able to create a stunning and original work for your indoor or outdoor space. 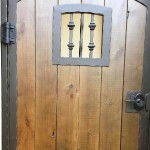 From custom front doors to iron entryways and iron gates as well as pool fences and window coverings, this is clearly the company of choice throughout the region for quality metal fabrication artwork. 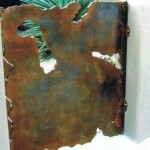 Every metal art project is always fully and completely guaranteed to perform as promised. 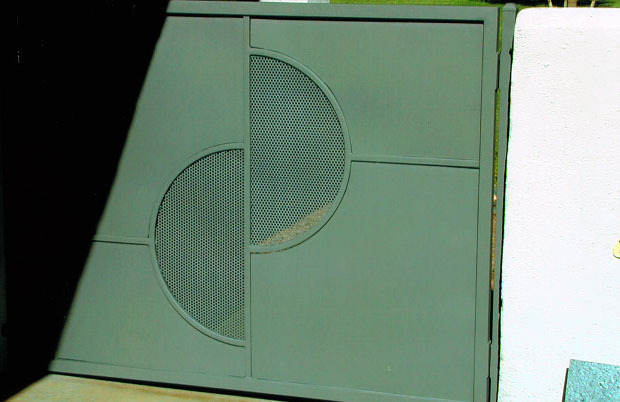 From very small and simple metal fabrication projects to the most advanced and complicated projects imaginable, Artistic Alloys & Design can achieve the results that you desire. 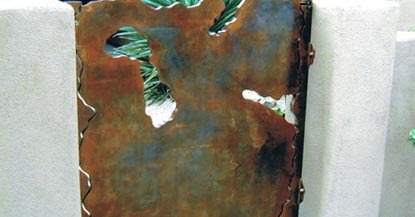 Unique and inspiring metal artwork and metal fabrications designed to enhance any space are always within reach when you contact Artistic Alloys & Design. 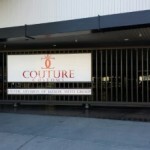 Because each project is carefully planned, analyzed and devised, customers can expect only the finest metal art fabrication finished products. 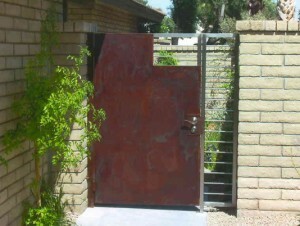 Custom Metal Gates Built To Last! 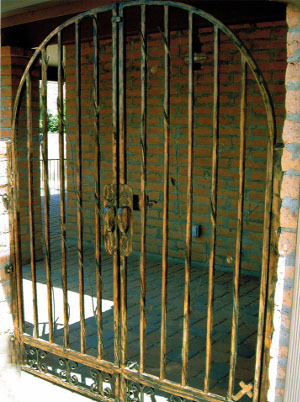 Every custom iron entry gate we construct is sealed with welded post ends to prevent damage from water and frame corners are mitered to ensure durability. 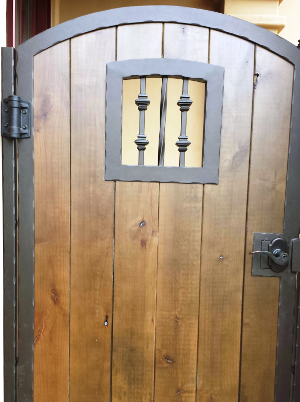 All of our custom gates come with adjustable welded “J” bolts, gravity latch, 1/2″ scrolls and pickets, and can be pool coded if needed. 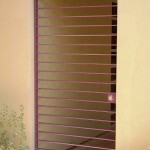 We do all this keep you worry free about the security and safety of your business or home. 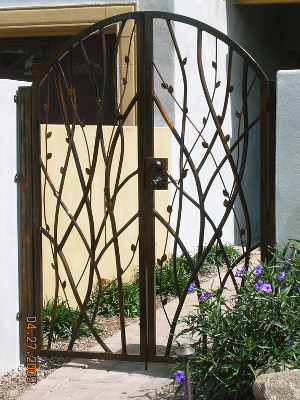 As we previously mentioned, Artistic Alloys has a variety of gate designs we have already completely that you are welcome to choose from. 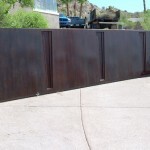 You also have the option of working with our in-house gate fabricator/designer in Scottsdale to come up with a custom designed gate that is unique to your own personal tastes and style. 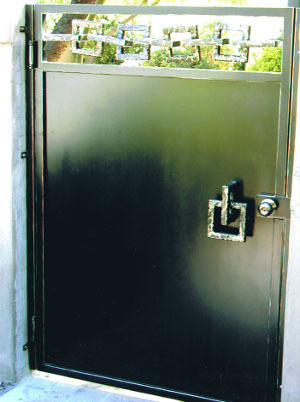 You have the options of automated gates for residential and commercial use and composite boards that are eco friendly and great for privacy and low maintenance. 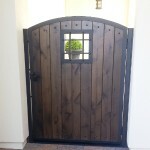 You also have the option of choosing gate metals (Copper, Stainless Steel, Wrought Iron, Vintage metals etc), powder coats/colors and gate hardware for your custom wrought iron entry gate. 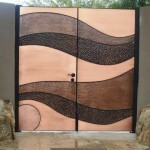 Also, we are available to assist you in the design and manufacturing process or your gate. Artistic Alloys strives for 100% customer satisfaction and is dedicated to making sure every client is happy with the end product. 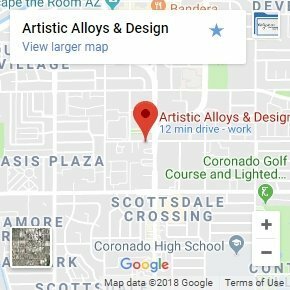 Artistic Alloys & Design is committed to producing the best designs using the highest quality materials and expert craftsmanship. 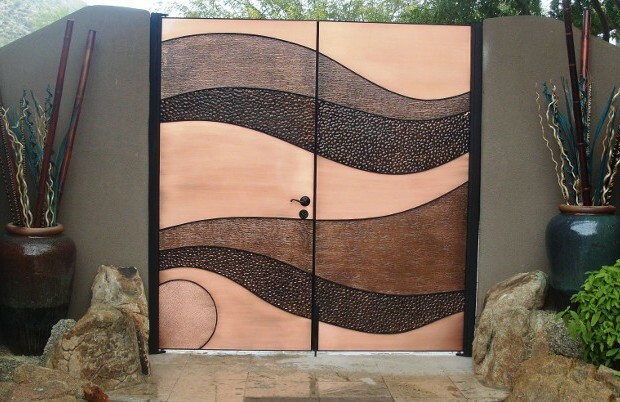 While other companies can say they offer the best in metal fabrication, Artistic Alloys & Design stands behind its word with each and every completed project and satisfied client. 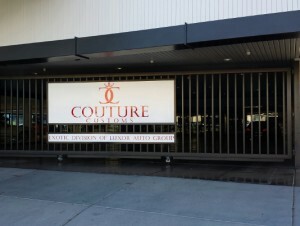 World class results with regard to metal fabrications and metal art is the standard when you work with a professional company that has a proven track record. 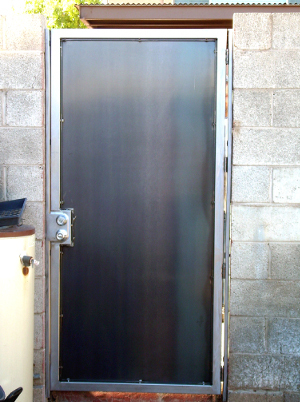 Quality metal fabrication that takes advantage of state-of-the-art equipment and the latest industry techniques ensures that you get the best product possible. 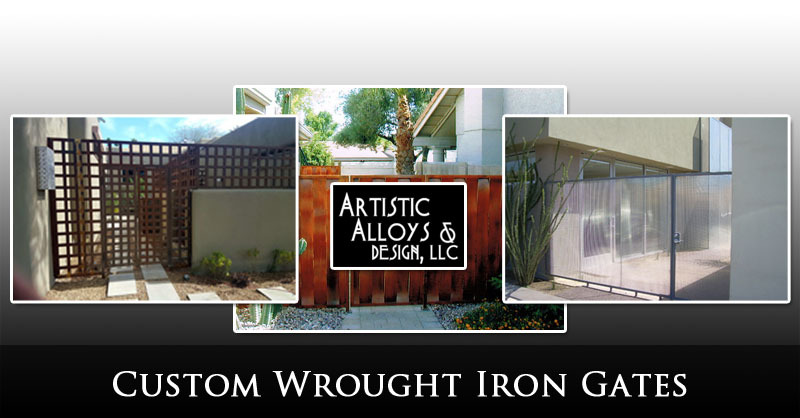 Contact Artistic Alloys & Design by simply calling today or visiting the website to learn more about our highly customizable wrought iron gates and fabrications in Scottsdale, AZ. 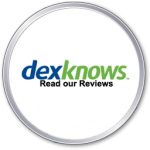 Read the reviews our satisfied customers have left on these popular sites. 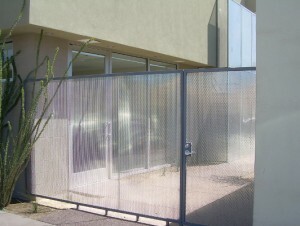 We collaborate with our clients to create unique designed gate installations.